Updated May 7, 2018: He’s done it. 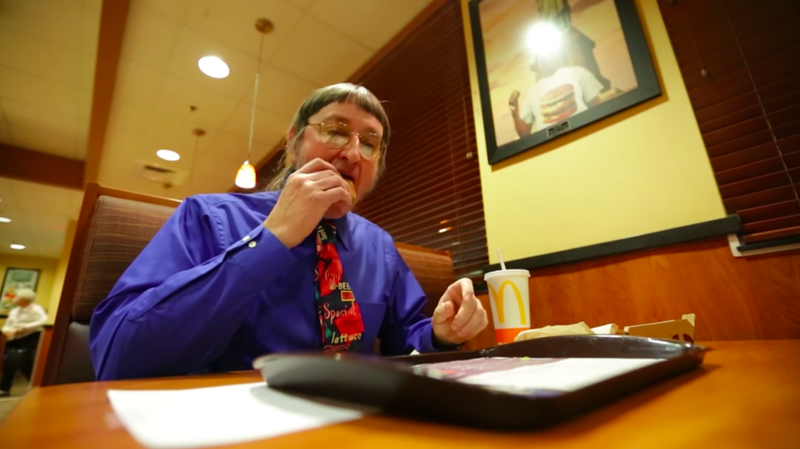 Don Gorske consumed his 30,000th Big Mac this week, and he remains very much not dead. Gorske told the New York Post that he intends on eating 40,000 Big Macs, which the 64-year-old Wisconsin non-deceased human being said he would reach at age 78. God speed. Gorkse is memorable—those sideburns, those bangs!—but one of those pop-culture minor characters that we wouldn’t think to check back in on after his 15 minutes’ fade. So thanks, Sun Online, for tracking him down and confirming that despite his diet consisting of 95 percent Big Macs, he’s still alive and well. Gorske says his weight is stable; his cholesterol is at 160; and that he goes for a lot of walks. Gorske’s Big Mac counter stood, as of February 27, at 29,877 burgers.